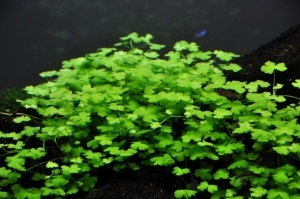 Hydrocotyle sp. 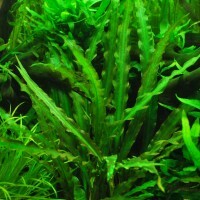 "Japan" is the popular name of the plant in different plant forums. 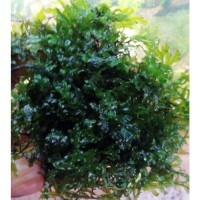 It is a variant of Hydrocotyle tripartita from South-East Asia. 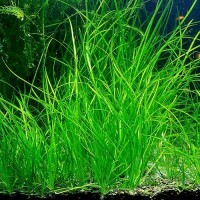 It is characterised by fast, compact growth and small, intensive green leaves on vertical stems. 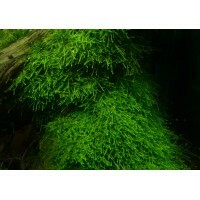 The plant is carpet-forming (5-10 cm tall) and its compact growth can be promoted by physically pressing the carpet with your hand when maintaining your aquarium (mechanical retardation). Carpet formation and compact growth do best in good light.